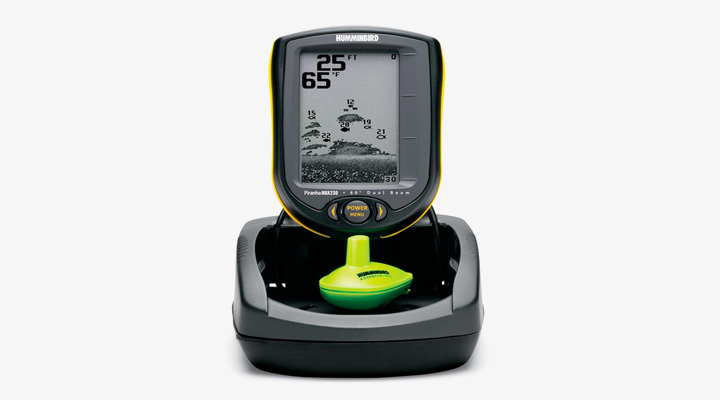 Humminbird PiranhaMax 230 PT Portable Fishfinder: I feel this is truly the most versatile, Humminbird PiranhaMax 230 on the Market today. It can even be used without a boat which is a big selling point for me as sometimes I like to just get out on the shoreline for some relaxing fishing. 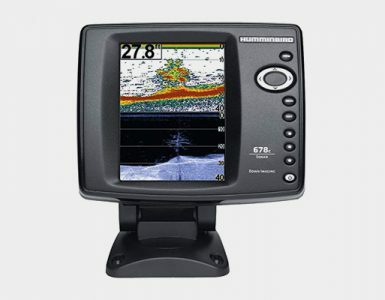 How clear are the images produced by the Humminbird PiranhaMax 230 Portable Fish Finder? The device has a 4-inch FSTN LCD display which has a very good picture quality fish finder. It has 160 x 132 lines of resolution. This is one of the highest resolutions among the different products available on the market at present. I was very impressed. I couldn’t wait to give my review of the Humminbird PiranhaMax 230 as I feel it has just about everything you could want in a great product, plus it’s portable! Goes anywhere, and offers incredible ease of use with true, grayscale images and convenient features. Dual 20-degree and 60-degree sonar beams, and 90-degree single-beam wireless sonar. The smartcast wireless system to locate fish under docks or anywhere you can cast the SmartCast Advanced Remote Sensor(RSS). SmarCast is a 90-degree angle beam wireless sonar. With this feature, you can detect fish and explore the river, lake or sea to a depth between 100 feet and 120 feet. High-definition, 4-inch FSTN LCD display with 160 x 132 lines of resolution in 4-level grayscale. The RSS includes a 4 level Grayscale sonar, water surface temperature readings and a programmable light for night fishing. The portable unit’s 60-degree Dual Beam sonar is optimized for bottom and structure clarity with wide coverage and up to 600 feet of depth capability. Big, easy to see digital readouts which I really love so I don’t have to go for the glasses. Humminbird PiranhaMax 230 Portable FishFinder with carrying case, Humminbird XHS 9 20 T transducer, 20-foot transducer cable with wrap and cover, the suction-cup transducer mount, user’s manual and warranty information. Duel Beam is a very big selling point for many of the users. RF45 RSS is included, The reason I mention this is some of the material I have read says it is not included Great with a boat or just fishing from the shore, most versatile. Batteries are long-lasting…A user states that he used all day and still on the first set. Honestly, I searched just about everywhere I could find and couldn’t find one thing wrong being said. In conclusion, I can honestly say you would not be disappointed with the Humminbird PiranhaMax 230. Highly recommended. It is one of the very few that I couldn’t find any bad reviews on.